There is a pretty good chance you know the answer to this one but, in case you’re a stickler for details, here goes: Direct mail is advertising or information sent to current and/or prospective customers through the mail. What you might not know is that it has been around a while. By the mid-19th century, seed catalogues were sprouting up and taking advantage of emerging techniques in chromolithography to showoff full-color illustrations of flowers, fruits, and vegetables. Book publishers followed on the heels of seed merchants and then, in the late 19th-century, Aaron Montgomery Ward and Richard Warren Sears introduced marketing-by-mail to the national—and international—stage with their catalogs that became 20th-century cultural staples. Today, direct mail encompasses CDs, catalogs, circulars, coupon envelopes, credit card applications, DVDs, dimensional pieces, letters, non-profit ad campaigns, oversized envelopes, postcards, and self-mailers. Communicating one-on-one with your current customers—and your potential ones—is direct mail’s most tangible asset. Direct mail also offers you control over who receives your message, when it’s delivered, and how many people you wish to reach. By integrating your brand’s message across more than one marketing channel, you may hear from potential customers wanting to opt-in to receive your direct mail offers. Also, direct mail provides ample opportunity to acquire and accumulate quantitative data via the testing of response rates of your campaign(s) based on messaging, creative approach, package type, and offers. The data you accumulate will give you insight into what is working with your campaign(s) and what may require some fine-tuning moving forward. Compared with traditional marketing mediums like television, radio, print and outdoor advertising, direct mail is more unassuming but also more economical and that adds to its appeal for small business owners. 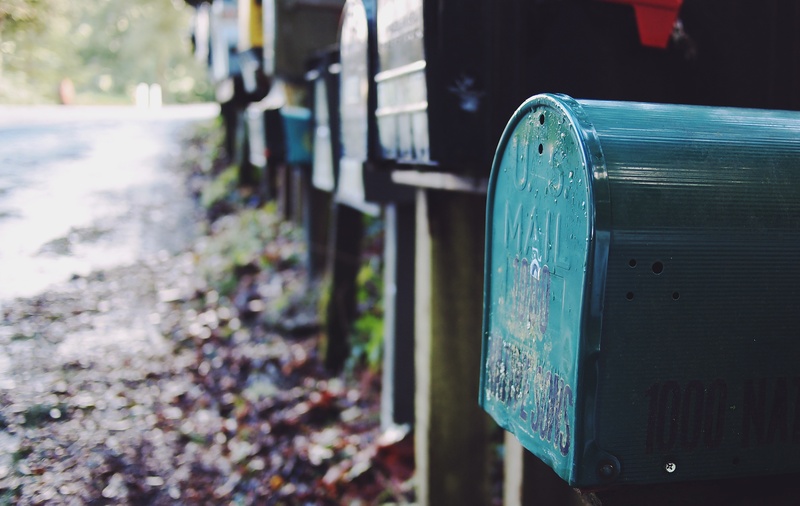 Direct mail’s noteworthy beginnings have become a bit tarnished over time, evidenced by the term “junk mail.” Roughly 100 billion pieces of direct mail are annually sent to Americans, or in the neighborhood of 850 pieces per household per year. From a business perspective, that’s a lot of competition. From a consumer perspective, 44 percent of direct mail heads straight to landfills unopened. From an environmental perspective, creating 100 billion pieces of direct mail each year requires the harvesting of more than 111 million trees. And the CO2 emitted from the annual production of direct mail in the U.S. is equivalent to 2.5 million cars idling 24 hours a day, seven days a week for an entire year. Additionally, “pre-approved” credit card offers put the addressees at increased risk for identity theft. Your return on investment, or ROI, is a number that every business owner should understand when it comes to marketing channels. When it comes to direct mail, you can calculate ROI by taking the revenue that your direct mail campaign brought in and dividing that figure by the total amount of revenue you spent to create and deliver your campaign. As of April 2015, the median ROI for direct mail was between 15 percent and 17 percent, placing it ahead of the ROI for mobile advertising (12 percent – 14 percent) but less than the ROI for either telephone marketing (19 percent – 20 percent) or email marketing (21 percent – 23 percent). Keep in mind that the ROI of direct mail can, and does, vary depending on the mailed piece. That is, the cost to create and mail a postcard campaign will differ from the cost to develop and mail a letter-sized campaign, or a campaign that utilizes oversized envelopes, or either creating and mailing a catalog or a dimensional piece (e.g., a small box). The median response rate for direct mail sent to customers (i.e., individuals who have purchased a product or service from you) was 3.73 percent in 2014, up from mean averages of 3.40 percent in 2012 and 3.42 percent in 2010, respectively. On the other hand, response rates for direct mail sent to prospect lists have dwindled to the current median rate of 1 percent (2014); a decline from a rate of 2.14 percent in 2003. As of April 2015, the average cost per response was $19.00 for direct mail pieces sent to current customers. This figure soars to $71.00 per response for direct mail pieces addressed to individuals on prospect lists (i.e., potential customers). It takes 60 percent less energy to manufacture paper from recycled stock and there are also alternatives to traditional forest-based papers: hemp, kenaf, bamboo, agri-pulp, and cotton all offer more environmentally friendly mediums on which to print. If you are using envelopes, there are biodegradable options as well as windowless envelopes (“windowless” are more easily recycled).